Learning Tools Interoperability (LTI) allows you to integrate MasteryConnect with Canvas. 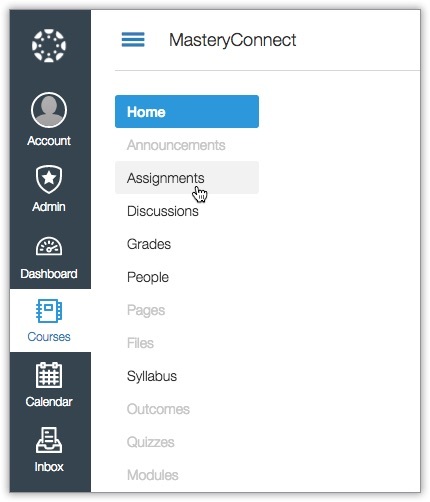 Once your administrator sets up an LTI for your school or district, you will be able deliver assessments in MasteryConnect through Canvas. Log in to Canvas and open the course to which you would like to add the assessment. Now, enter the title of your assessment in the Assignment Name box. In the Points box, enter the total points available for the assessment. This needs to match the points of the assessment that you're linking to in MasteryConnect. Click the Submission Type drop-down list, and select External Tool. 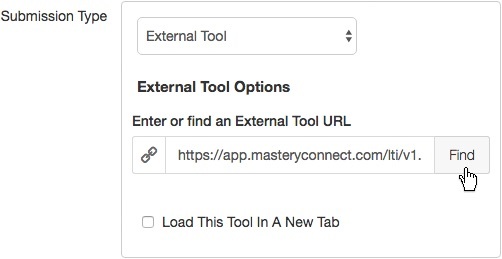 Next, click Find and select the MasteryConnect LTI connection. Leave the box Load This Tool In a New Tab unchecked. 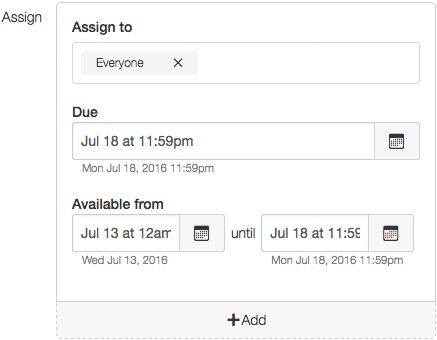 You can add an optional due date, or set up a window of time during which the assessment is available. When you are finished, click Save and Publish. MasteryConnect will open in your Canvas window. Now, you'll need to find the assessment in your tracker and link it to Canvas. First, click Trackers in the main navigation bar. 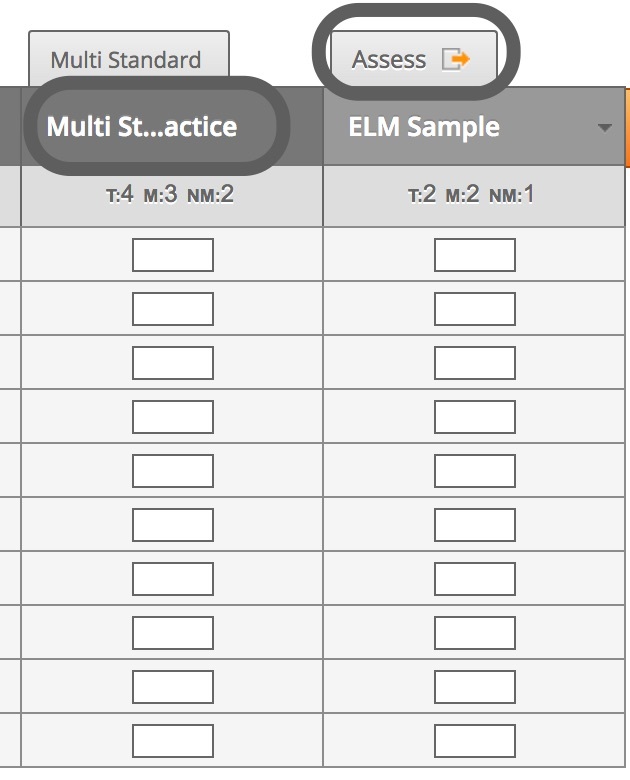 Next, find the assessment by opening a tracker and clicking on the name of the standard (e.g. 6.RP.A.1) where your assessment is located. Click on Assess above the standard name to open the Assessment modal. Note: If you’re working with a multi-standard assessment, you’ll have to click the title of the assessment and drill down to find the Assess button. 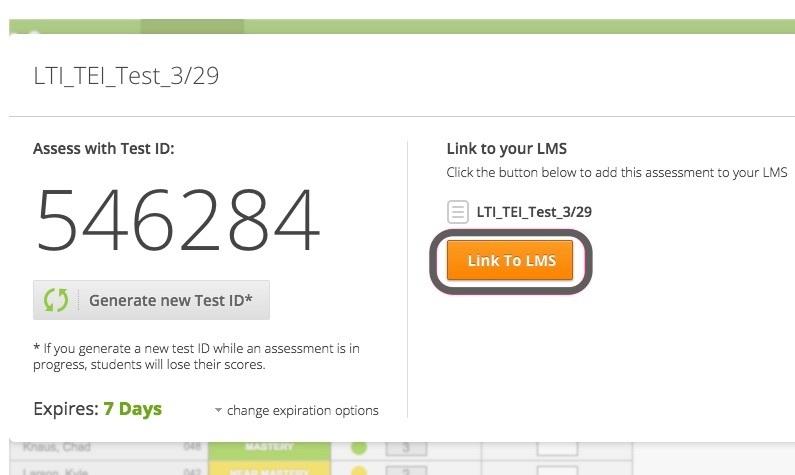 On the Assessment modal, select Link To LMS. The assessment will now be linked to your course in Canvas and available to your students. You will be returned to your MasteryConnect News Feed view.